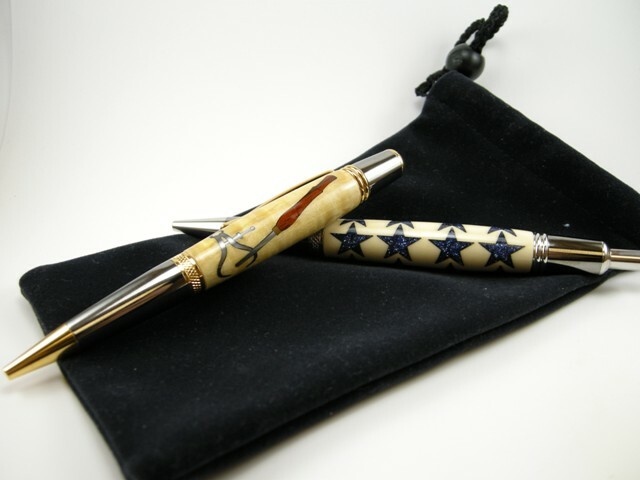 My love of woodturning started innocently enough in early June 2009 in Ketchikan, Alaska. I was standing in an art gallery shoulder-to-shoulder with dozens of passengers crowded around a display of native crafts. When we returned from that cruise, I wasted no time. I dug an old Shopsmith out of mothballs (it was rusting away in a buddy’s barn) and cleaned it up. I had never used it as a lathe before, so I had to find all the parts to make it serve that purpose. I recognized that I had no idea what to do. So I looked online for a class and found one scheduled at the Woodcraft store in Addison. It was to be taught by a fellow by the name of John Horn. You might know him. I took his class and discovered in those few Thursday evenings a new and somewhat addictive art form that suited my particular aptitude for creativity, design, and motor skills. I love turning bowls and vessels and enjoy in particular turning them out of what I call “distressed” wood. Generally speaking, the wood I use is salvaged from dead trees that fell on their own, or trees that were blown down during storms. I never shy away from cracks, spalted wood, wood with rotted areas and bark inclusions. To me, wood with imperfections is the most interesting to turn. Unfortunately, turning distressed wood often produces distressing results. I end up with a lot of cracks in the bowls I rough turn and air dry. In an effort to save a particularly nice bowl that cracked during the drying process, I developed a technique I call “pre-inlay” using wooden dowels and aluminum or brass rods. This “pre-inlay” technique has allowed me to save some lovely bowls that would have otherwise been too dangerous to finish turn due to the cracks running through their walls and bottoms. Sharon Ayres was born and raised in Waco, Texas with her parents Bill and Evelyn Oliver and the middle of five children. She now resides in Dallas, Texas with her husband, David. They have three children and five grandchildren. Sharon doesn’t have formal training in “The Art” per se, but art and the appreciation of any kind of crafts as art, is in her blood. 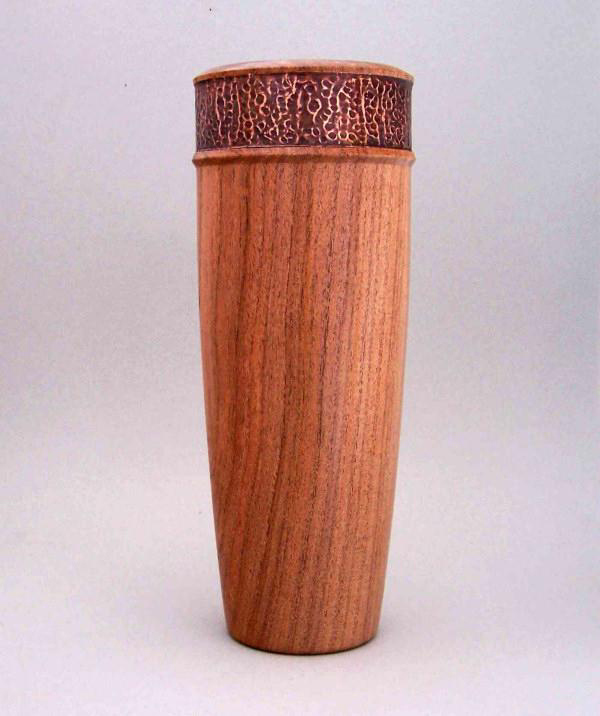 Sharon’s interest in Wood Turning was inspired through her father in 2003, he was a wonderful turner, mentor and role model. 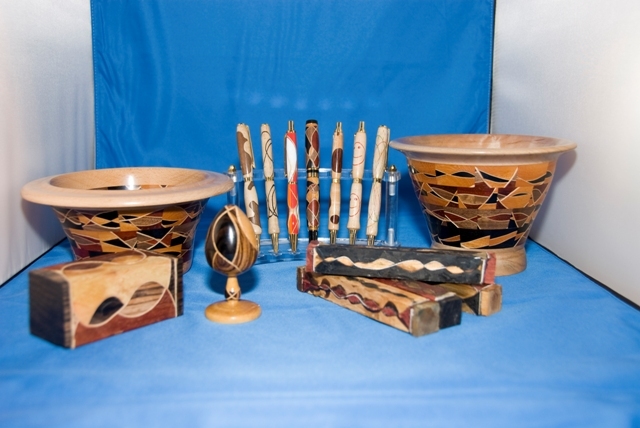 Her education in woodturning comes from wood turning classes, symposiums, demos and many hours at the lathe. She exhibits her unique style of woodturning by gathering bits and pieces of knowledge from professional turners, and a lot of good pointers from club members and demonstrators. 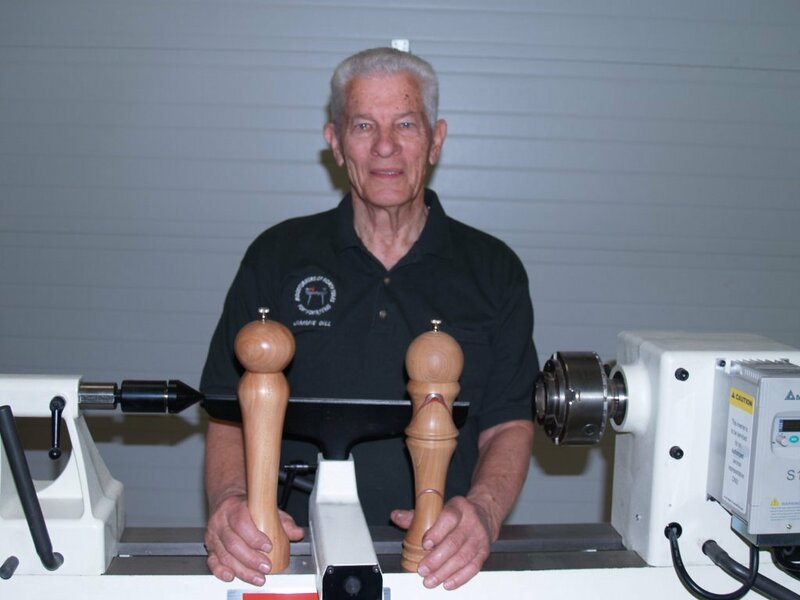 Sharon loves her family, has a passion for turning wood and is excited about helping others get enthusiastic about wood turning. Platters are an excellent opportunity to express your creative side by embellishing the rim. Sharon will be showing us how to turn, burn and paint the platter. She learned this technique “Jerusalem Stone” from Eli Avisera in a class at Canyon Studio’s. 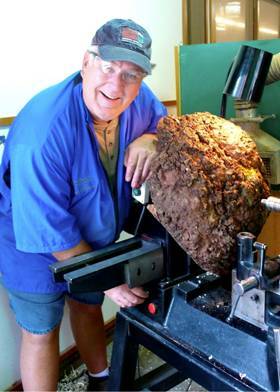 Sharon belongs to the American Association of Woodturners, Hunt County Woodturners, Dallas Area Woodturners, Golden Triangle Woodturners and Woodturners of North Texas. Click here of Handout Pictures. I am the publicist/photographer for the Hunt County Woodturners in Greenville TX (and the Instant Gallery photographer for SWAT for the last couple of years). I have been turning for about 10 years. I have recently retired from being a Systems Engineer at a defense contractor. My engineering and design background drives me to come up with unusual designs and techniques to do things with (and to) wood. I have developed a reputation for needing to abuse (cut and glue) all my wood before it ever gets near the lathe. For the demo I plan to demonstrate how I make laminated turning blanks that display multiple woods swirled together. I developed this technique about 7 or 8 years ago and have demonstrated it at numerous locations over the years (SWAT, various clubs in North Texas, New Mexico, and others). The demo will cover all tools and materials needed along with helpful tips and hints I’ve discovered along the way. I will also display a variety of things that these blanks can be used for. I also plan to demonstrate my newest non-traditional shop tool in a mini-informercial that will be of special interest to segmented turners (no, I’m not selling anything, just passing on an extreme (!) time saving technique). This is my 6th year as a wood turner. 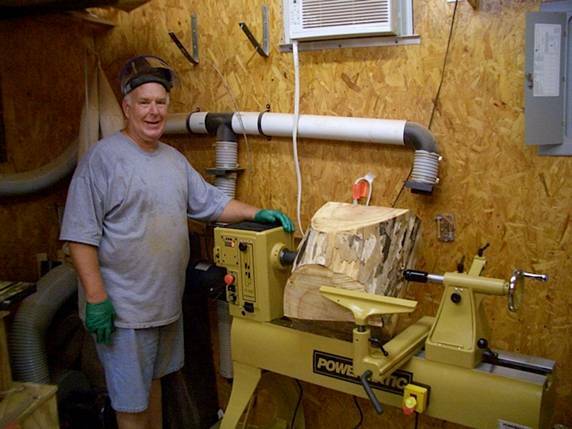 About eight years ago I built my workshop, thinking about a hobby upon retiring. One day I went to our local Ace hardware store to pick up some tools. While talking to the storeowner about my shop, he mentioned that there was a local wood turner that came in the store a lot. I asked if he would give him my address. One Saturday morning in walked Wayne Clowers, so we went to his shop and we turned a bowl. Later he was turning a peppermill. I was fascinated by the peppermill, so I ordered myself a dozen mechanisms and started turning peppermills. I have been under Wayne's wings ever since. 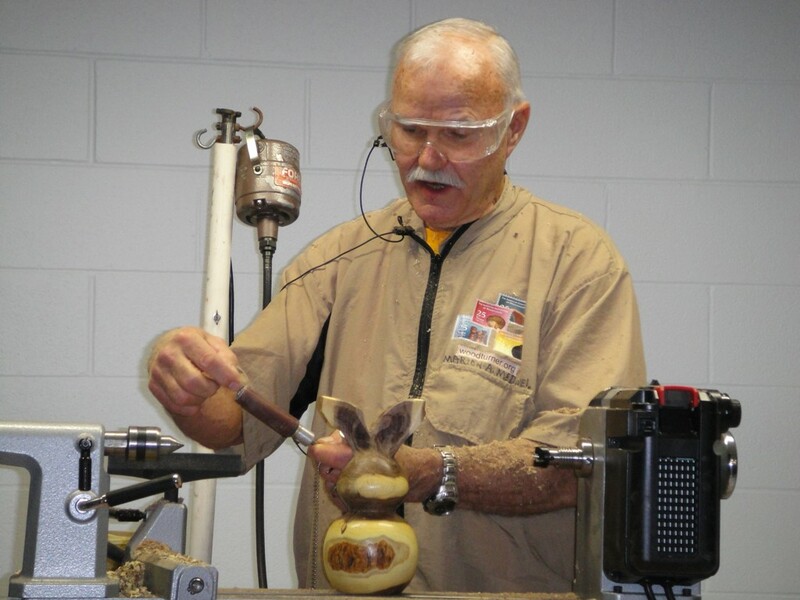 Then I saw Max Taylor's peppermills and Max demonstrated how to make the laminated peppermills. As a result of these two individual's influence, they have increased my knowledge of peppermills. Here is a copy of Jimmie's Handout. Wood crafts man Marion McDaniel is a native of Georgia who has resided in Dallas for the past forty years. 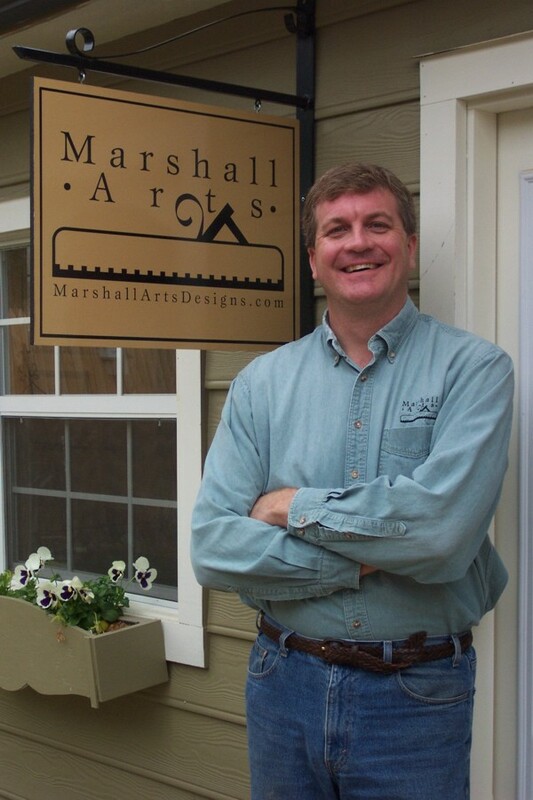 What makes Mr. McDaniel's talent and artistry so amazing is that he only began wood working a few short years ago. After an on-the-job accident seriously injured his back, he was forced to retire after twenty one years with Kroger Foods. While recovering, he decided to attempt to whittle a cane for himself since he now needed one to aid him in walking. His wife observes that, "Prior to carving that first cane, he had never carved, drawn, painted or even doodled on paper." 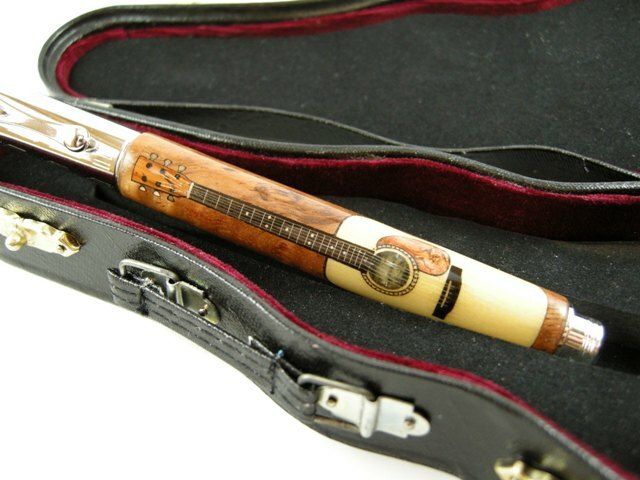 That cane, however, was the beginning of a consuming pastime and he now spends his time crafting other beautiful works in wood. 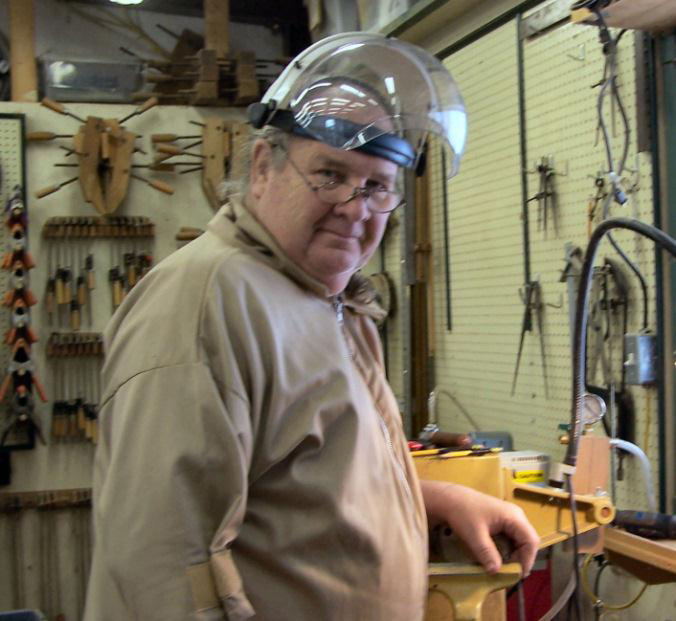 Mr. McDaniel has fashioned immaculate bowls, bottles, canes and walking sticks from a variety of fine woods, some with intricate inlay. The holiday seasons keep him busy creating his special wooden snowmen, which are each turned from a single piece of native Texas wood. The flaws and cracks that you may see in your snowman occur naturally in the tree and help to make each creation unique. He also makes Easter bunnies which he will demonstrate at this month's meeting. 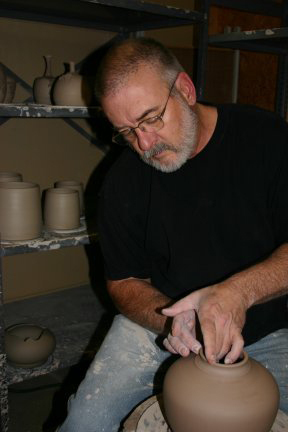 I figure I’ve made pots for about forty years and been in the clay business about that long. After college and the military, I did one smart thing and one not-so-smart thing. I got married and started teaching at a local college. The marriage has lasted forty years and the teaching lasted only four. Fourteen years ago the North Texas Area Food Bank asked Darlene and me if there was a way to have EMPTY BOWLS in Dallas. Well, it seems as if there was a way, and four years later, the Tarrant Area Food Bank asked the same question. Answers to all these questions will be revealed at the meeting. During the demonstration, I will show you how I make a bowl and then take a leather hard bowl and trim and decorate it. 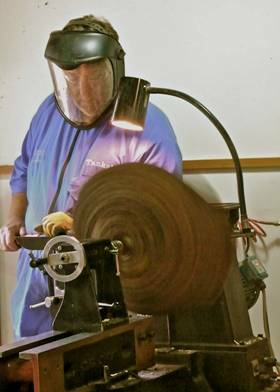 The process of trimming more closely relates to wood turning and we can discuss the differences in our problems. 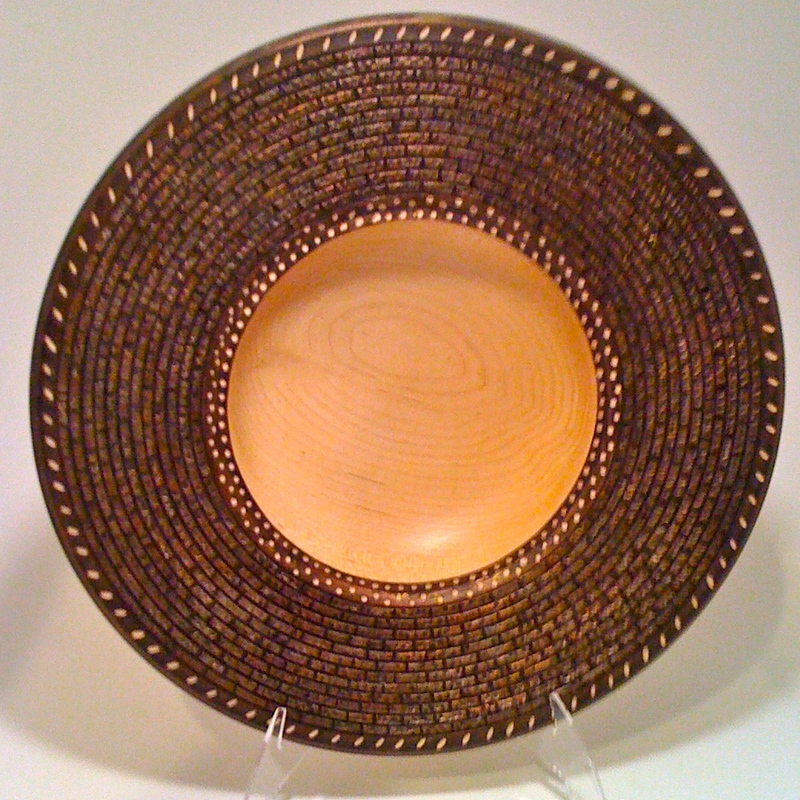 During the demonstration I will explain why being involved with EMPTY BOWLS is especially related to my approach to making pots and perhaps give you some insight about the ways you work as a wood turner.